When you want to improve upon something, or even just maintain the level of strength you currently have in a specific area, it takes a commitment and an investment of your time to do so. Wouldn’t you agree? Well, one of the BEST investments of a wife’s time is to work at strengthening her marriage. I once read an article by Lorrie Flem of Eternal Encouragement Magazine that said something like, “Don’t focus on your husband’s part in the marriage, and what he is or isn’t doing. Instead, just focus on YOUR part as a wife, and ask God to help you be the kind of wife He wants you to be.” That’s hard to do at times, isn’t it? When I was sent this month’s review material, I was not especially thrilled. The zip file I received was loaded - and I mean LOADED - with at least 15 PDF documents and 2 MP3 files. I thought, “My goodness.... how in the world am I going to get through all of this material in time to write my next review? !” And, to be completely honest with you, I STILL did not completely get through it all. There was just wayyyy too much material for me to read in just a few short weeks. However, what I WAS able to get through was definitely good stuff! I can assure you that I will be investing some more of my time to continue reading the rest of the bundle. In “75 Inexpensive Romantic Rut Cures,” Lorrie said, “Next to your relationship with God, your mate should be your number one priority.” I encourage you to take a moment and do a check-up on your priorities. Are you doing YOUR best at keeping your marriage alive and healthy? 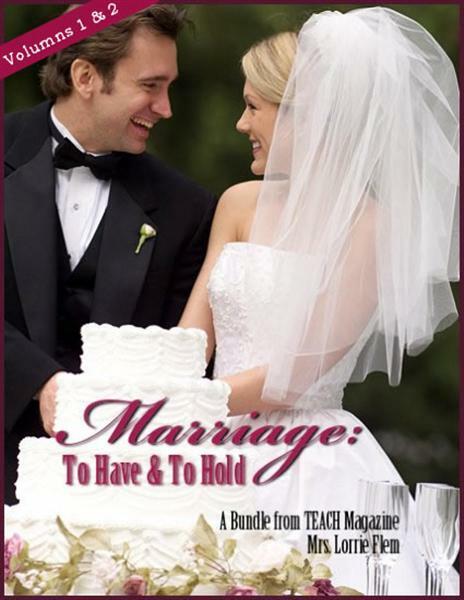 If not, then this MARRIAGE BUNDLE might just be the thing you are looking for! I didn't get completely through all the material either. Great stuff :) And a great review! Priorities--sometimes hard to do, but well worth it when we force ourselves. Thanks! I loved the "31 Prayers for Husbands" - great stuff! Thanks for setting us/me right! It's as if I can hear myself talking "But what about Him?" It's a good thing that it's a bundle of products, something we can go through at different seasons in our lives and still find something to convict us.